For a tiny guinea pig that doesn’t get around much, Princess Piggy Poo sure has a mighty personality. Maybe it’s cavy charisma, the way she commands attention when people come to visit. It could also be her magnetism that draws people to touch her. And, they are never disappointed because she is exceptionally soft and never bites anyone — except me. Princess Piggy Poo really does have a royal air about her. She has me running out to get her organic cilantro at Whole Foods because the stuff at Trader Joe’s is unacceptable. My convenience is no longer a concern. I even keep the talk radio station on when I’d prefer to hear music because Princess Piggy Poo enjoys NPR. You may think that all guinea pigs could claim to be tiny but mighty. Size-wise cavies are all pretty similar but much like us their personalities run the gamut. Lucky me, I found a classy cavy with a majestic presence and velvety white robe. All hail Princess Piggy Poo! 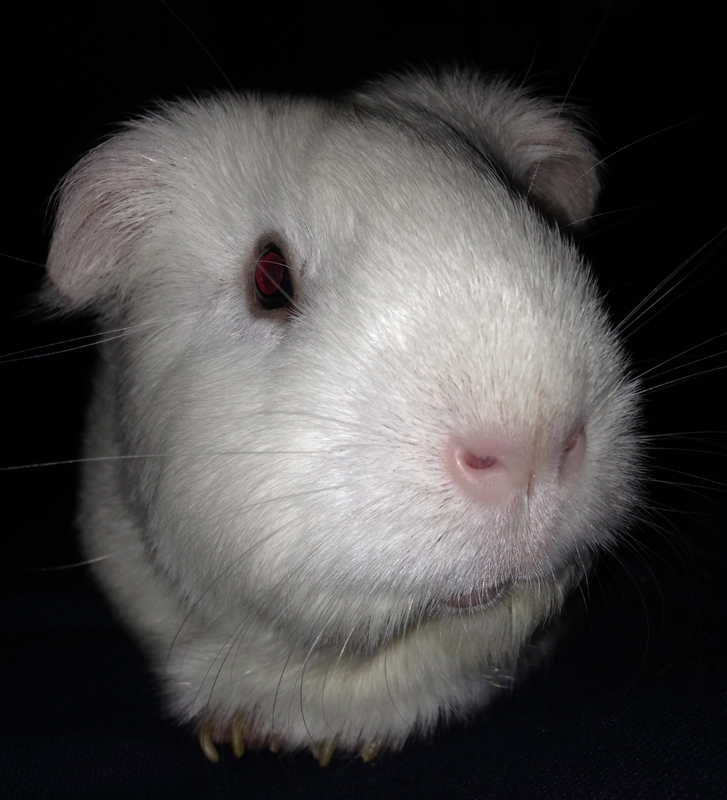 This entry was posted in Uncategorized and tagged cavies, cavy, cilantro, guinea pig, guinea pigs, princess piggy poo. Bookmark the permalink.